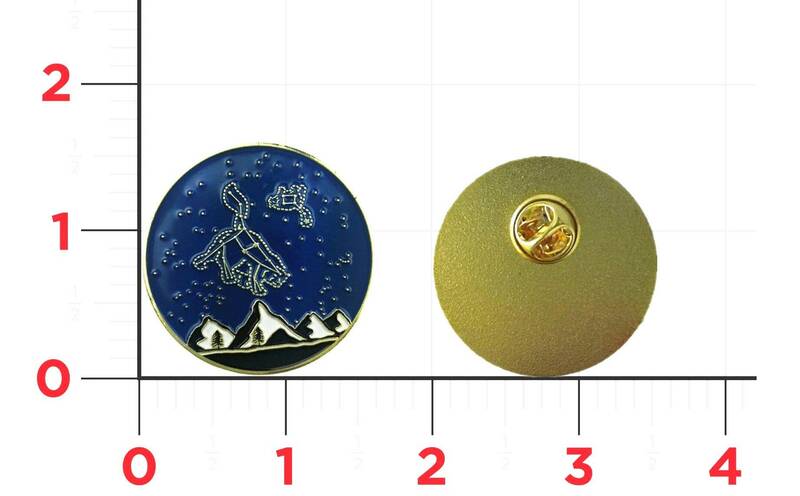 These pins are 1.5” round hard enamel pins of Ursa Major and Ursa Minor. 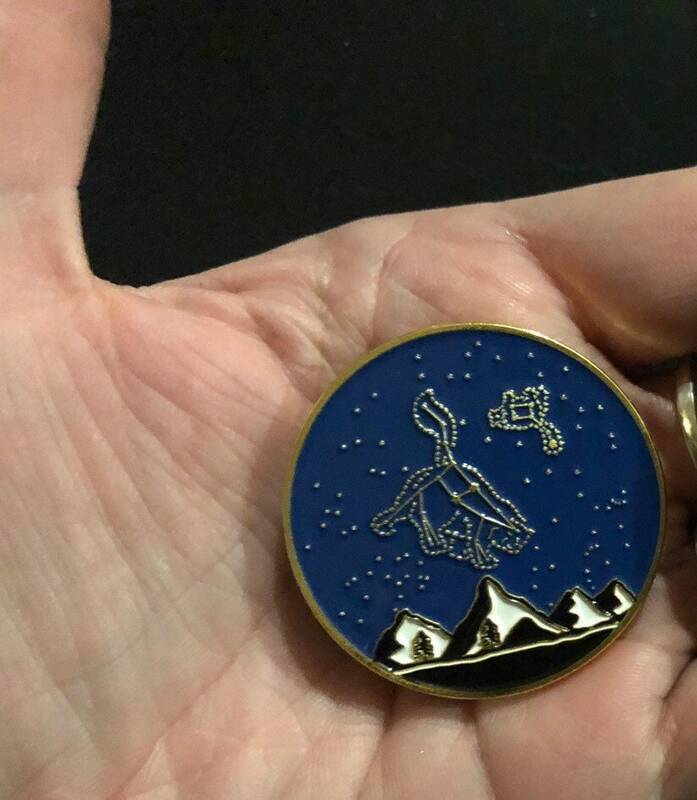 I designed these pins for my wedding favors and decided I wanted extras to share with the rest of the world! These pins come with a single traditional butterfly closure on the back.